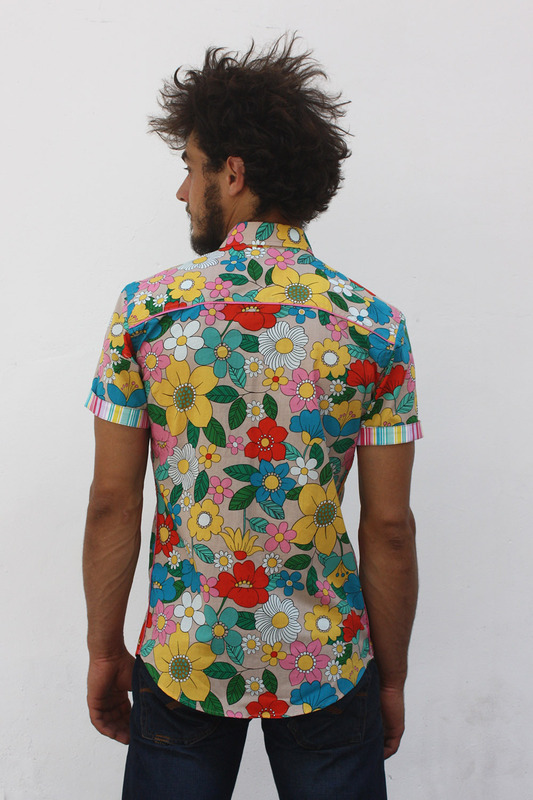 Floral short sleeve button down, made out of light cotton cambric. 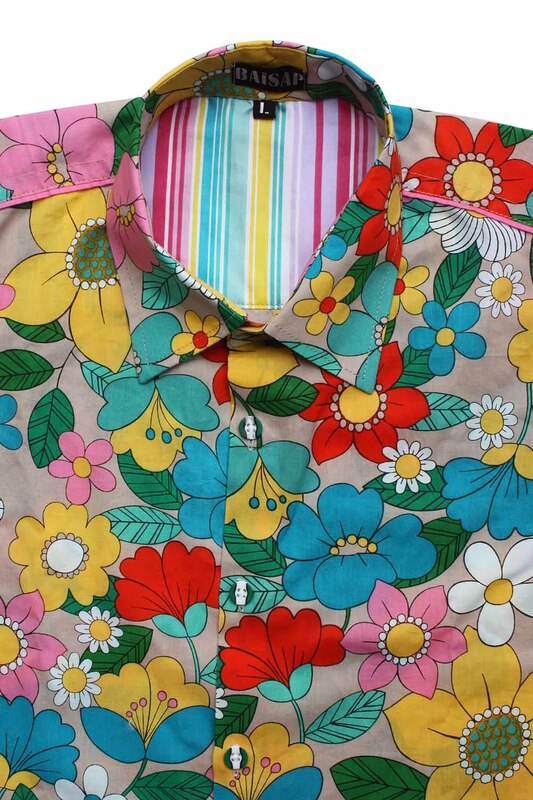 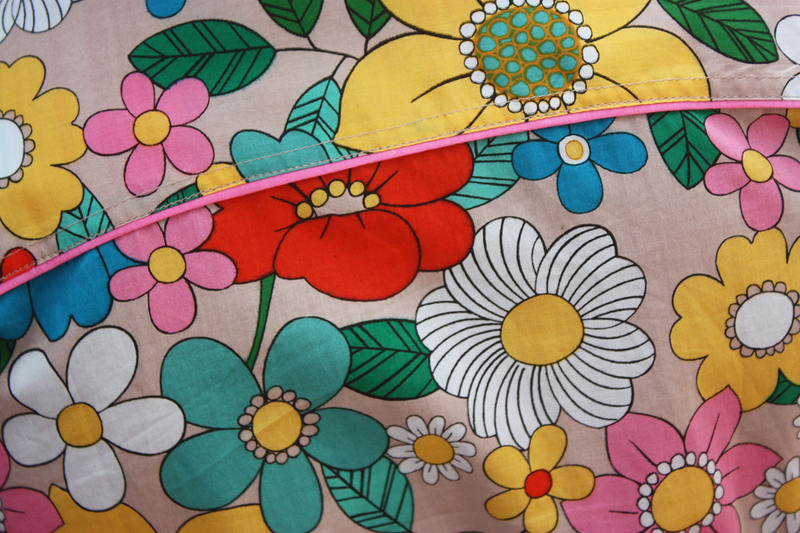 Multicolored retro floral pattern, 70’s inspired. 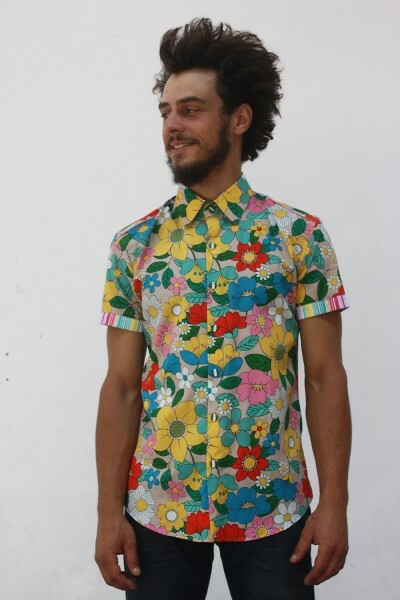 Assorted stripes on shoulders and sleeves lining.